Fusing a breath-taking Love-Story with traditional and modern Irish Dance Lines, the excellent and stunningly fast Irish World Champion, Michelle Lawrence — a 7-time Irish Dance World Champion, who shines internationally in principal roles and as a soloist — is presenting her young and energetic company, consisting of 20 international prizewinning Irish Dancers. 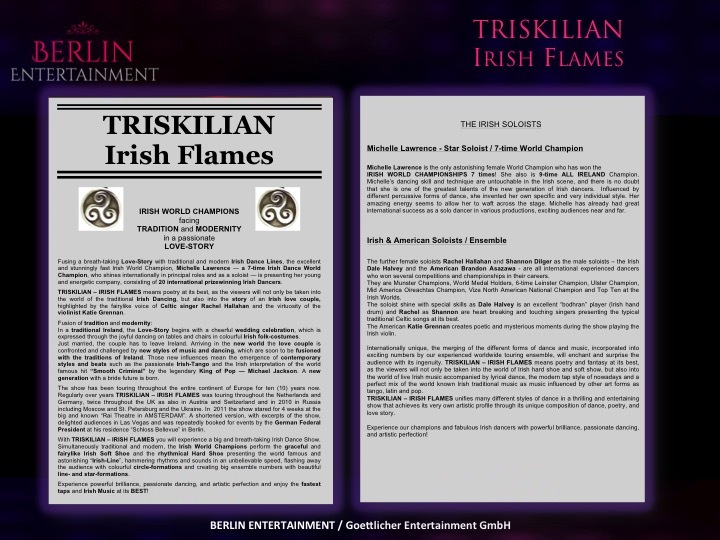 TRISKILIAN – IRISH FLAMES means poetry at its best, as the viewers will not only be taken into the world of the traditional Irish Dancing, but also into the story of an Irish love couple, highlighted by the fairylike voice of Celtic singer Rachel Hallahan and the virtuosity of the violinist Katie Grennan. In a traditional Ireland, the Love-Story begins with a cheerful wedding celebration, which is expressed through the joyful dancing on tables and chairs in colourful Irish folk-costumes. Just married, the couple has to leave Ireland. Arriving in the new world the love couple is confronted and challenged by new styles of music and dancing, which are soon to be fusioned with the traditions of Ireland. Those new influences mean the emergence of contemporary styles and beats such as the passionate Irish-Tango and the Irish interpretation of the world famous hit “Smooth Criminal” by the legendary King of Pop — Michael Jackson. A new generation with a bride future is born. The show has been touring throughout the entire continent of Europe for ten (10) years now. 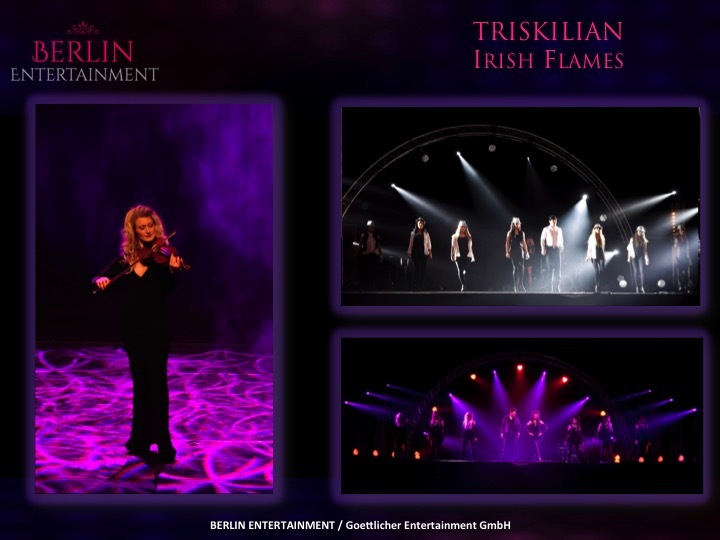 Regularly over years TRISKILIAN – IRISH FLAMES was touring throughout the Netherlands and Germany, twice throughout the UK as also in Austria and Switzerland and in 2010 in Russia including Moscow and St. Petersburg and the Ukraine. In 2011 the show stared for 4 weeks at the big and known “Rai Theatre in AMSTERDAM”. A shortened version, with excerpts of the show, delighted audiences in Las Vegas and was repeatedly booked for events by the German Federal President at his residence “Schloss Bellevue” in Berlin. 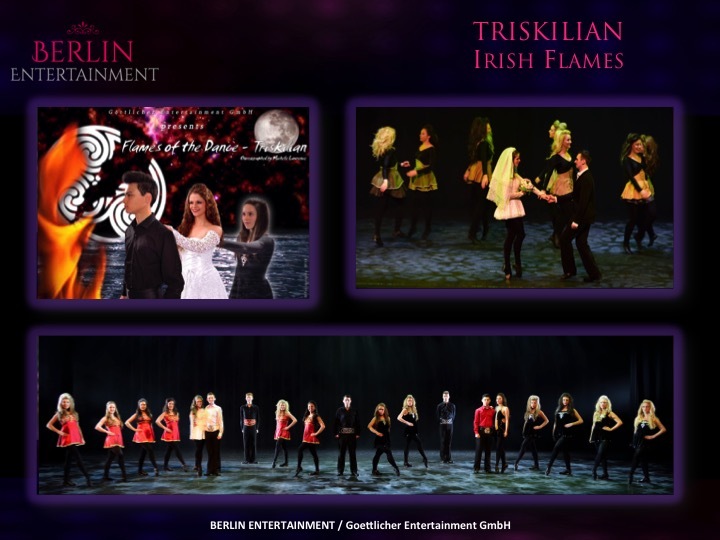 With TRISKILIAN – IRISH FLAMES you will experience a big and breath-taking Irish Dance Show. Simultaneously traditional and modern, the Irish World Champions perform the graceful and fairylike Irish Soft Shoe and the rhythmical Hard Shoe presenting the world famous and astonishing “Irish-Line”, hammering rhythms and sounds in an unbelievable speed, flashing away the audience with colourful circle-formations and creating big ensemble numbers with beautiful line- and star-formations. 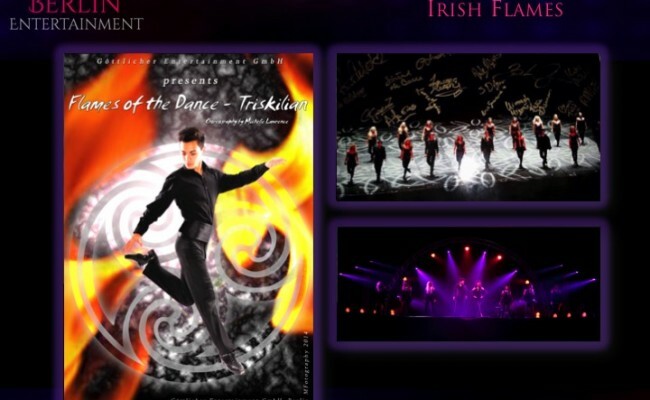 Experience powerful brilliance, passionate dancing, and artistic perfection and enjoy the fastest taps and Irish Music at its BEST! IRISH WORLD CHAMPIONSHIPS 7 times! She also is 9-time ALL IRELAND Champion. 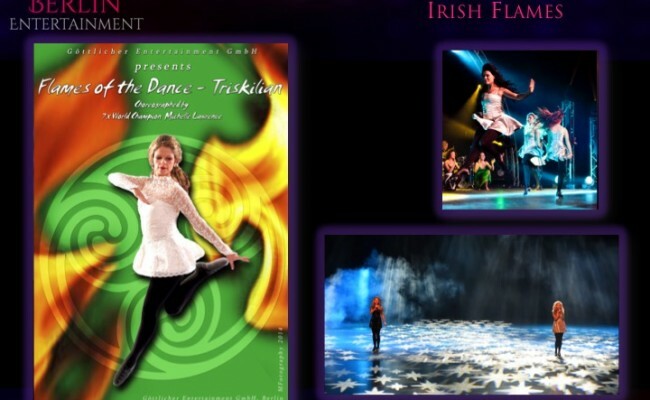 Michelle’s dancing skill and technique are untouchable in the Irish scene, and there is no doubt that she is one of the greatest talents of the new generation of Irish dancers. Influenced by different percussive forms of dance, she invented her own specific and very individual style. Her amazing energy seems to allow her to waft across the stage. Michelle has already had great international success as a solo dancer in various productions, exciting audiences near and far. 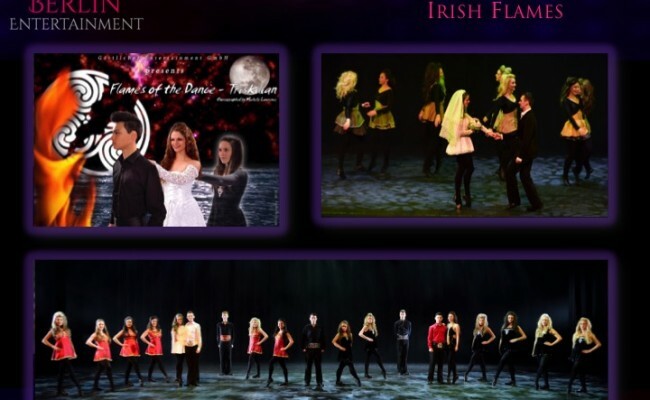 The further female soloists Rachel Hallahan and Shannon Dilger as the male soloists – the Irish Dale Halvey and the American Brandon Asazawa – are all international experienced dancers who won several competitions and championships in their careers. 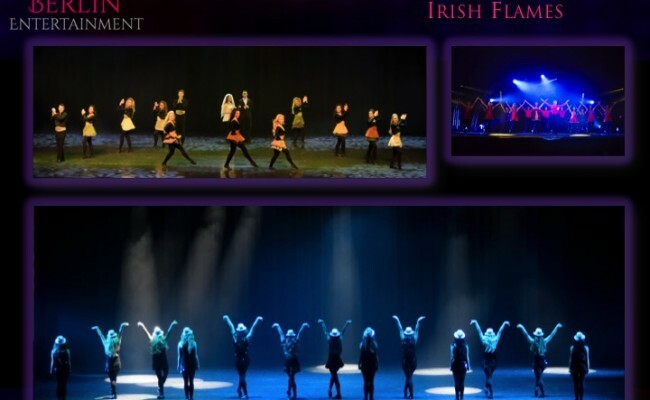 They are Munster Champions, World Medal Holders, 6-time Leinster Champion, Ulster Champion, Mid America Oireachtas Champion, Vize North American National Champion and Top Ten at the Irish Worlds. The soloist shine with special skills as Dale Halvey is an excellent “bodhran” player (Irish hand drum) and Rachel as Shannon are heart breaking and touching singers presenting the typical traditional Celtic songs at its best. 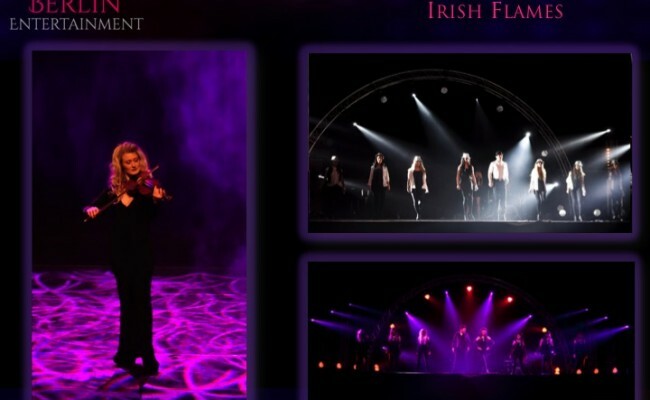 The American Katie Grennan creates poetic and mysterious moments during the show playing the Irish violin. 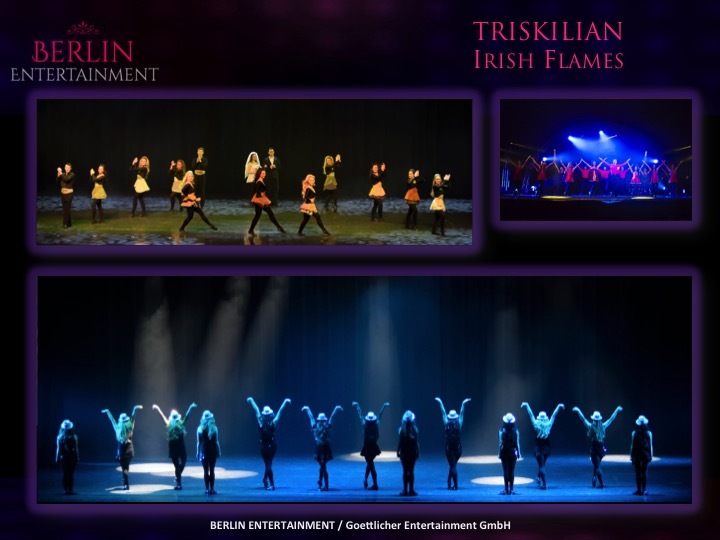 Internationally unique, the merging of the different forms of dance and music, incorporated into exciting numbers by our experienced worldwide touring ensemble, will enchant and surprise the audience with its ingenuity. 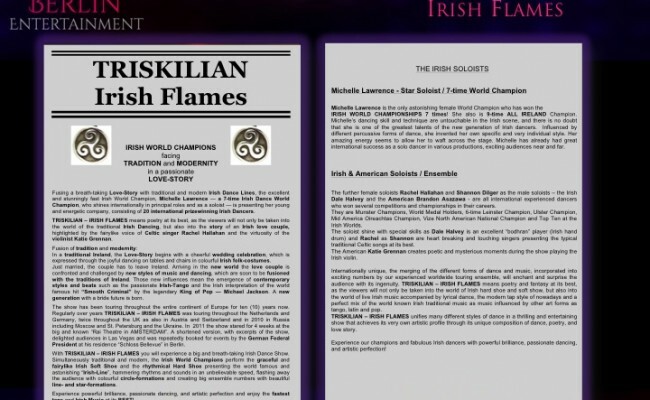 TRISKILIAN – IRISH FLAMES means poetry and fantasy at its best, as the viewers will not only be taken into the world of Irish hard shoe and soft show, but also into the world of live Irish music accompanied by lyrical dance, the modern tap style of nowadays and a perfect mix of the world known Irish traditional music as music influenced by other art forms as tango, latin and pop. 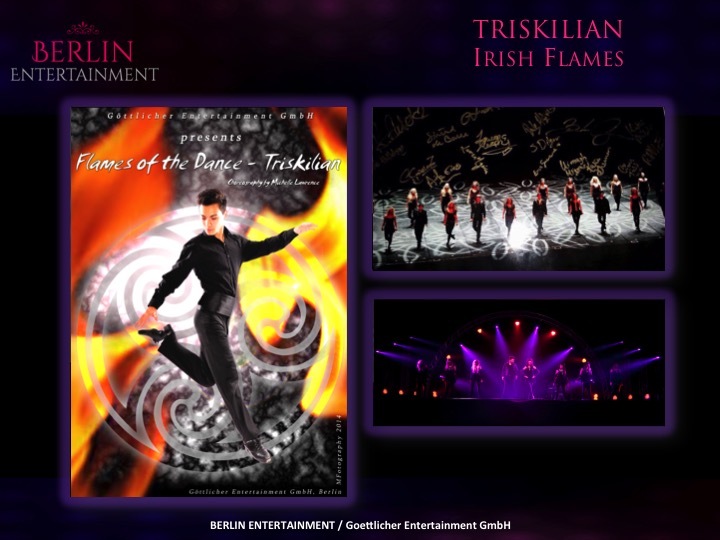 TRISKILIAN – IRISH FLAMES unifies many different styles of dance in a thrilling and entertaining show that achieves its very own artistic profile through its unique composition of dance, poetry, and love story. 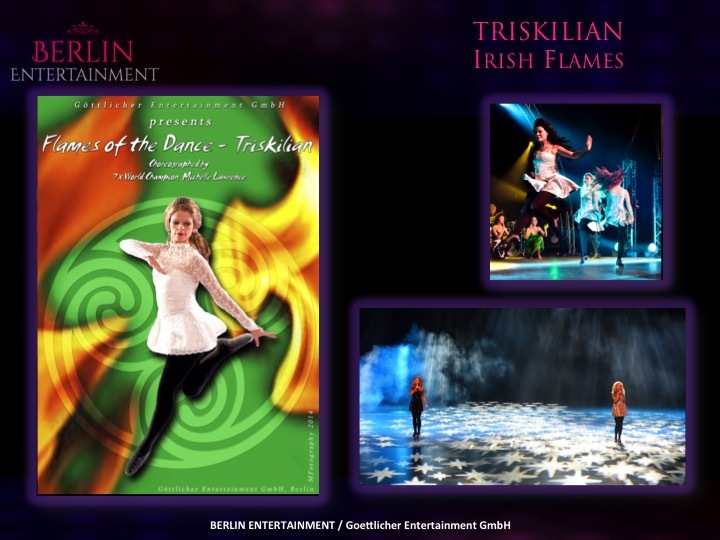 Experience our champions and fabulous Irish dancers with powerful brilliance, passionate dancing, and artistic perfection!